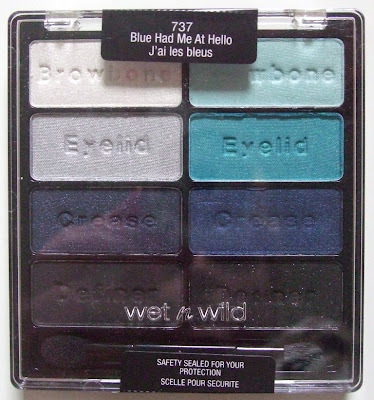 Today I have a review of the second of three Wet n Wild 8 Colour Icon Palettes in Blue Had Me at Hello. Once again I am very happy with the quality of these eye shadows for the price point they are at. They are highly pigmented and have such depth when applied to the eye. There was one dud shade in this palette - the white on the left hand side. It is very chalky and gritty, as you can see in my swatches below. But besides that, this palette is great! I like how the shades are labeled and co-ordinated to create easy looks, especially for someone who is newer to bold makeup.This palette also wore a full 8 hours on me with no fading or creasing (I do use Australis Eye Primer with all eye shadows though). HOLY MOLY. THAT TEAL HOT DAMN. 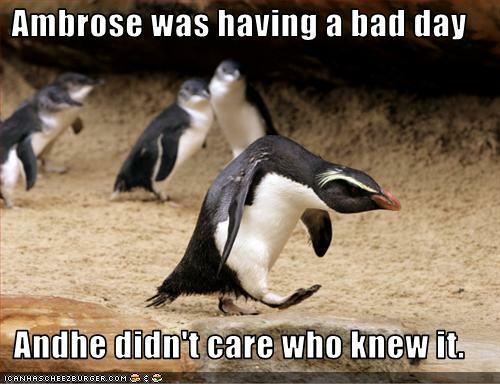 Okay I'll calm down now. But seriously, I feel some kind of glorious mermaid. Wet n Wild makeup is not available in Australia, I bought this through Non Pareil Boutique for $5.50. Benefit Erase Paste - I am so glad I found this product, it is the best product I have tried to minimize dark circles under the eyes. I wrote a full review of it here. Maybelline Colour Tattoo in Barely Beige - This was the only limited edition colour tattoo that I picked up. It is easily my favourite colour tattoo that I own. I wrote a full review of it here. What have been your favourite products this month? Natio are currently having a buy 3 products get 30% sale so I picked up a firming night cream, skin brightening face balm and matte bronzer. I also swung by Priceline and picked up a home eye brow waxing kit and Maybelline Color Tattoo in Bad to the Bronze. My local priceline has not had this shade in stock since they launched so I thought I'd better grab it while I could! Okay after this haul I am officially on a spending ban for the month of October. The only thing I am allowed to purchase in the next month is the Urban Decay Vice Palette because I already planned to buy it. Batiste Dry Shampoo in Tropical - This is hands down the best dry shampoo I have tried, and it smells delicious. I have very thin hair that gets oily very easily and this is a good way to combat this issue. Neutrogena Night Calming Makeup Remover Cleansing Towelettes - These are hands down the best makeup removing wipes I have tried. I like to remove the bulk of my foundation with one of these before I cleanse at night, otherwise I feel like I am just smearing makeup across my face with my cleanser. Highly recommend these. I really wanted to expand the amount of colours I had in my eye shadow collection so I decided to pick up the three of these palettes. Reviews of the other two will be coming soon. So far I have been hugely impressed with the quality of these eye shadows for the price point they are at. 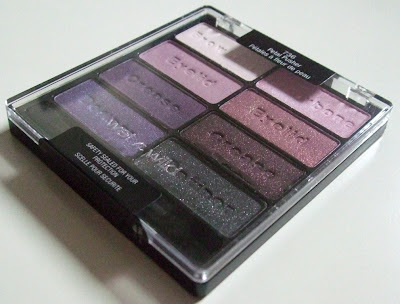 These shadows are all pigmented and show up beautifully on the eye. 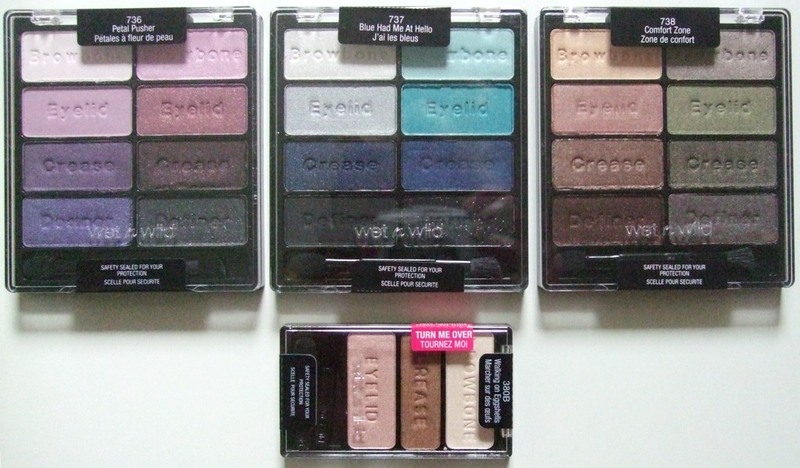 I like how the shades are labeled and co-ordinated to create easy looks, especially for someone who is newer to bold makeup. These shadows wore a full 8 hours on me with no fading or creasing (I do use Australis Eye Primer with all eye shadows though). I absolutely love this palette and would thoroughly recommend it to everyone! 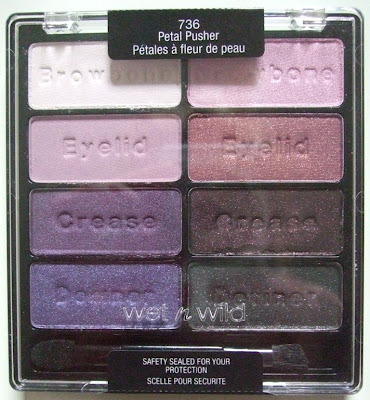 Wet n Wild makeup is not available in Australia, I bought this through Non Pareil Boutique for $5.50. 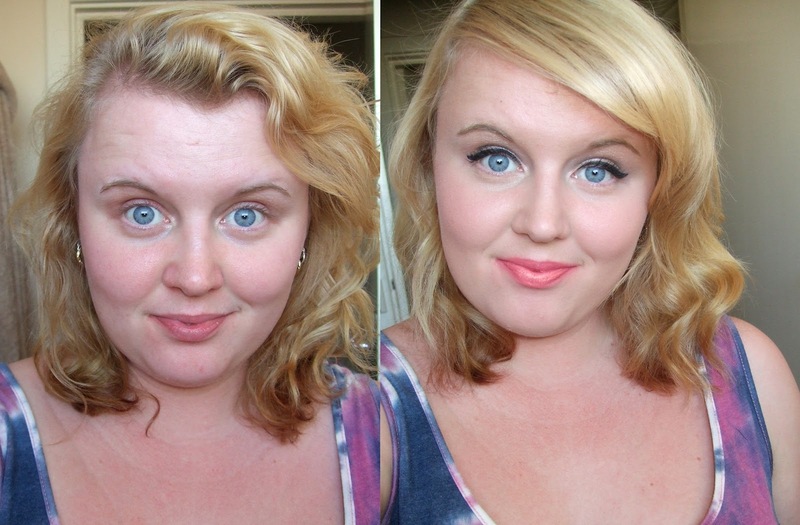 Has anyone else tried Wet n Wild makeup? What was your favourite product? Urban Decay Vice Palette in Australia? Just wanted to make a quick post for anyone lusting after the Urban Decay Vice Palette. I was initially going to use a shipping forwarding service from the US but I just found out today that BeautyBay.com are going to be getting the palette in stock mid October. They ship to Australia for free and I have used their service multiple times with great customer service and reasonably fast shipping (about 10 days for me, I live in Perth). Is anyone else wanting this palette as much as I am? Just wanted to let you know I have been having a very intense time at university for the last few days, my apologies for the lack of posts and I will hopefully be back to normal tomorrow. I got this in the mail on Friday, this is my haul from Non Pariel Boutique. I got the 3 Wet n Wild 8 Colour Icon Palettes in Petal Pusher, Blue Had Me At Hello and Comfort Zone. I got the trio in Walking on Eggshells. I picked up the new Garnier BB Cream Miracle Skin Perfecter in the new formulation for Combo/Oily skin on the recommendation of Jodi from Goo Roo Beauty. 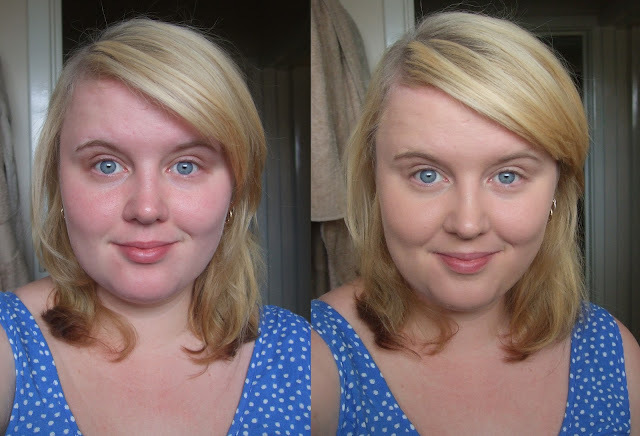 I have been trialing it and the verdict is - I completely love it! One of the best attributes about this BB Cream is that even though it feels very light on your skin, it has a medium coverage. I think overall it gives a matte finish however it's not the mattest of mattes. It lasts a full 8 hours on my skin with no noticeable fading. As you can see I am having a small break out on the side of my face. The BB Cream covered the spots but not completely. I think if you have bad blemishes/acne, this is not going to provide you with the coverage you need. I picked this up for $9 at Coles. Bargain of the century :) I have a new daily foundation! Have you tried this new version vs the old one? What are your thoughts? Now BYS are a brand I have used when I was younger, and I never had much luck with their quality. But when Caroline from Femme Beauty mentioned that these were worth a go a while back I picked them up. And I was pleasantly surprised! These blushes are nicely pigmented and they last most of the day on my skin. The powder is quite finely milled but they are a little bit powdery. They also all have a sheen to them. The only drawback is that they have that baby powder type of smell to them. It's not something you notice once it's on your face though. I think these are definitely on par with other 'low end' blushes I have tried. These retail for $4 each. Have you had any luck with BYS products? Free Butter London Nail Polish with In Style Magazine! You get a choice of 2 colours Pink Ribbon, or Pillar Box Red which I chose. 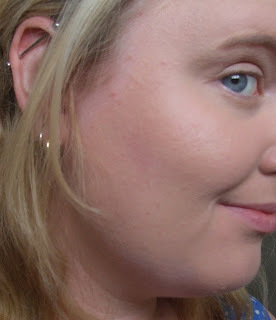 Benefit Erase Paste Review and Demo! This is a holy grail product. As you can see the purple tones under my eye and in my inner corner are eliminated by the salmon tone of this product. It also helps to brighten the eye area in general. Now, I put off buying this for a long time (and still only got it in a kit) because I heard a lot of reviews complain that it creased under their eyes. This concealer is very creamy, and I am only 19 but as you can see I already have some very fine lines under my eyes. However it has never creased on me. I think that some reviewers must be applying too much product, and not setting it with a powder. For application, you just want to lightly touch your finger in the product and tap it out on the under eye area, minimal product is required to see great results on. Then set the concealer with a light dusting of powder to prevent creasing and mattify the area. Benefit's Erase Paste retails for $47 at Myer or $26 at Sephora. I am wearing shade 2 in this image. Do you have under eye circles? And if so, how do you conceal them? So today I needed a bit of hair inspiration. I'm so sick of having mid length hair. Sigh. I have been growing my hair out for a year now. 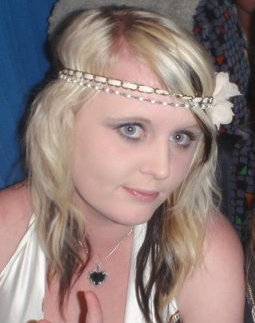 This is what my hair used to look like 2 years ago. 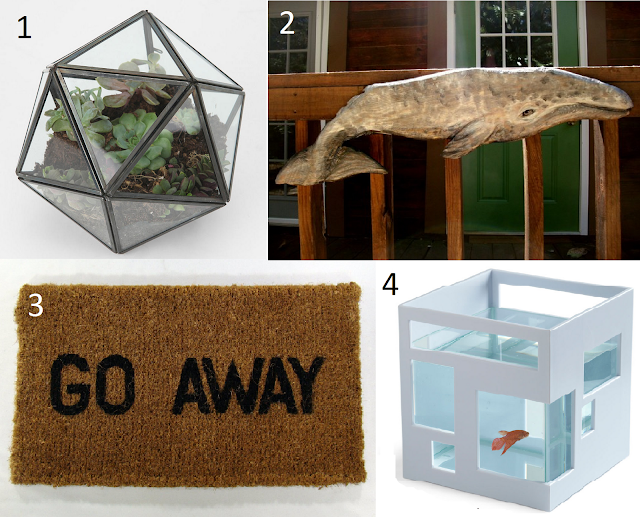 I love quirky home wares, I wish I had more money and more space to create a home. 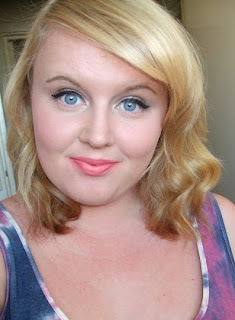 The Batiste Dry Shampoo and Australis Fresh and Flawless Powder are repurchases but the rest are all new products. So far so good with all of them so except reviews in a month or so. As soon as the spring time rolls around, I am dying to get out the most vibrant colours in my wardrobe. I love love love fun dresses and here are a few I'm dying to get my hands on! What are you updating your wardrobe with this Spring? Thank you to Abigail from Shrinking Wallet for tagging me! 1. Each person must post 11 things about themselves. 2. Answer the questions the tagger has set for you plus create 11 questions for the people you've tagged to answer. 3. Choose 11 people and link them in your post. 4. Go to their page and tell them. 5. Remember, no tag backs! 1. I am an architecture student, but I am thinking about changing to construction management next year. 2. I have only been quite into beauty for 6 months. Beauty blogs / YouTube got me into makeup. 3. I love to read but I rarely get time at the moment. 4. My main future goal is to see the world. 5. I love science and art equally. 7. I truly love learning. I try to learn something new every day. 8. I have a big soft toy Totoro that is the point of many jokes between myself and my boyfriend. 9. I am a very friendly and chatty person, and I have a pretty awkward sense of humour. 10. I sometimes worry about choosing between having a career and having children. 1. What is one thing you can't live without? Probably my iPhone as sad as that is. 2. What is your biggest pet peeve? 3. What is the first thing you'd save if your house was on fire (assuming all pets and family members were saved)? My computer because it has all of my work and photos on it. 4. If you could live anywhere, where would you live? The north west coast of America, or Canada. 5. What is your favourite movie genre? 6. Are you loyal to a brand? If so, what is it? Neutrogena skin care. I am always trying out new products, but if I just want something that I know will work well and not make my skin react, they are always what I will go back to. 7. If you could turn back time, what would you change? 8. Where is your ideal holiday destination? New York City / Miami! 9. What is your favourite season? 11. Curly hair or straight hair? 1. What is the one thing you have to do every day? 2. Never drink soda again or never eat chocolate again? 3. What made you start your blog? 4. What is your favourite perfume? 5. If you could make one change in the world, what would it be? 6. If you won $10000 to spend in 24 hours, what would you buy? 7. What's one thing you take for granted? 8. A person that you aspire to be like? 9. What is your favourite online store? 10. Which is your favourite holiday? 11. If you could have any job tomorrow, what would it be and why? I don't even have 11 followers so I can't tag that many people haha. In the light of the current Target scandal today I wanted to write a bit of an opinion post on counterfeit products and the true cost of them. Counterfeit cosmetics are everywhere. Online, at market stalls and shady unauthorized retailers. If you know where to look on any given day, you could come home with a bag full of counterfeit cosmetics in any given city in Australia. As beauty bloggers, we all like buying makeup, and in Australia, we pay a lot for it. When it comes to luxury brands, we are often pay three times the amount we would in the US, and this can seem unfair. Sadly Australia is a tiny market for most luxury brand companies and they aren't too concerned about bringing us the best prices. But that is another topic for another time. The price of luxury brands in Australia has made many people look for ways to import from the US and other countries that get a better deal. And this is perfectly okay. However, this has sadly resulted in a lot of people buying what they believe to be parallel imports, when really they are cheap and nasty counterfeits. So why is counterfeiting such a bad thing? In terms of cosmetics, there is a huge likelihood that these products have not been through any kind of testing or regulations regarding ingredients. Here is a link to an article regarding a counterfeiter who sold makeup on ebay. She was selling cosmetics that had three times the amount of legal lead contained in her products. You have no idea what these products contain, how could you even think about putting them near your face? When we spend hundreds of dollars on skincare and have routines to stop anti-aging and break outs, I don't understand why anyone would risk an infection or even something horrible like a chemical burn. 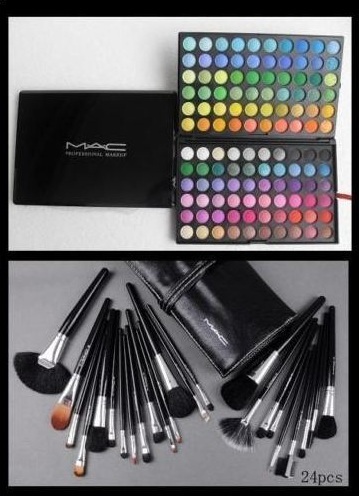 So yesterday it came out that Target were selling MAC counterfeit cosmetics. I think that it is disappointing that a household name like Target would act in this manner. If someone like me could go into your store and doubt the authenticity at first glance, how on earth did it slip through your departments to actually put out these products onto the shelves? Of course there are some people who actively seek out counterfeit products. Counterfeit handbags of house names are a dime a dozen. But why do people actively seek out fake products? 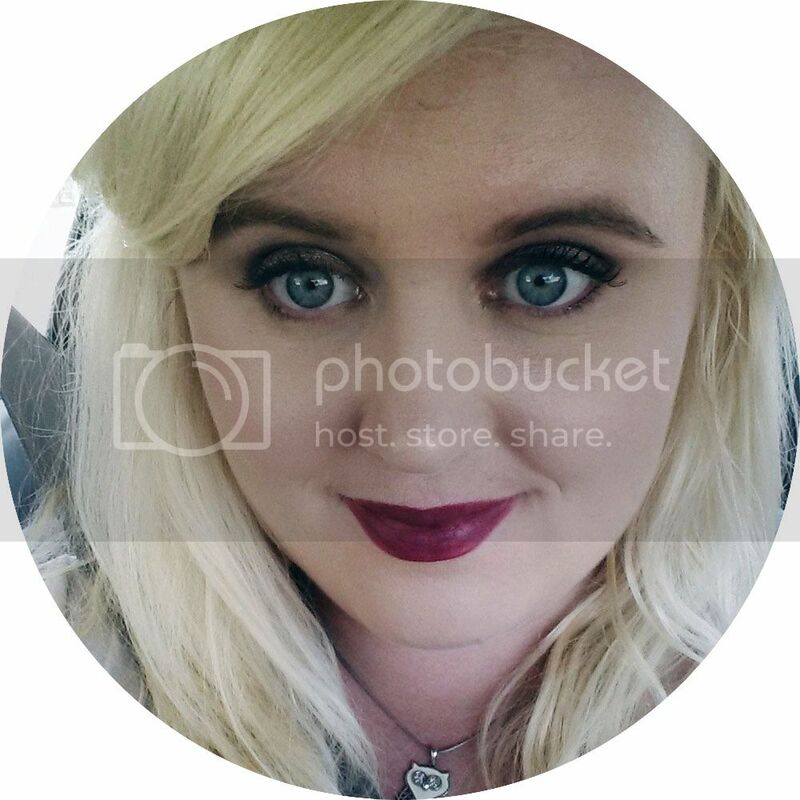 To flash a logo and think you're a better person because you can afford such an item? But did you realise that counterfeit goods fund criminal activity? Here are some links. I can understand people wanting to have the real thing without the massive price tag. If you genuinely admire the product but can't afford the luxury version, why not just find something in a high street shop that is a similar style? The high street is always imitating the current trends of luxury items, it won't be difficult. And you know, your money won't go towards funding drugs or human trafficking. Boohoo.com are a favourite of mine, because they do free shipping to Australia! Awesome! I ordered a new top off them yesterday and then I found about this competition - so I thought, why not style my outfit around the top I bought? Anyways, I hope you all enter the competition too and good luck to everyone else! So I saw via Noveau Cheap that new Maybelline Colour Tattoos had been released in America, and I was excited to see them. I have only tried one shade so far and I really like it so when I saw Barely Beige, a limited edition shade, I had to pick it up!